Made of gaboon (base and rings) and Bohemian glass. Size, mm: 215 (height) х 55 (diameter). Elegant original hand-crafted wineglasses. 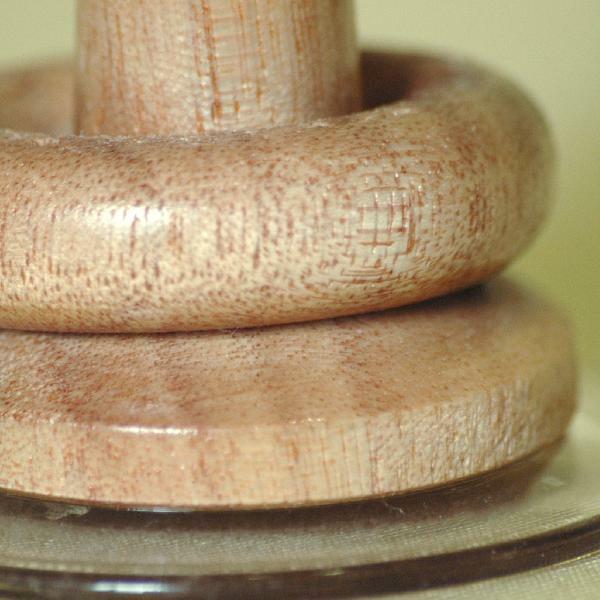 Bases are made of rare gaboon wood. The 220 ml bowl itself is made of Bohemian glass. A decoration for a festive table and a great wooden wedding gift.